Compared to the more expensive X470-F version, we’re struggling to see how ROG justify the £60-£70 GBP or $100-110 AUD difference between the two models. 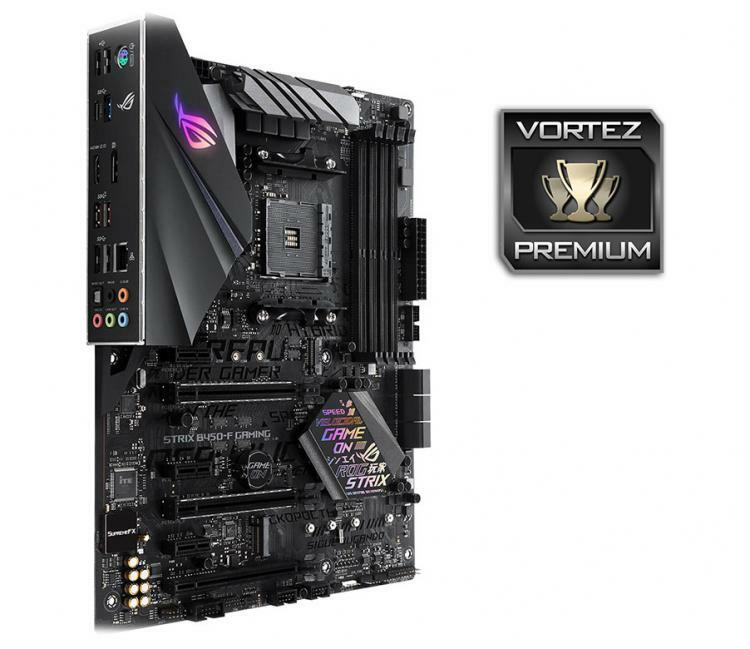 We marked the ROG STRIX X470-F Gaming as excellent value when we’d finished our roundup of X470 chipset motherboards, back in April, but looking back with the benefit of hindsight, we still feel that award is deserved, however it does highlight the huge value of the motherboard being reviewed today. If you look at the graphs, there’s not a great deal between the X470 and B450 chipsets, with the ROG STRIX B450-F trading blows with the competition. This statement rings true for most of the B450 tests we’ve conducted so far, showing that AMD really aren’t holding back on their chipset implementations, holding essential features to increase high-end sales. The rear IO is well equipped, giving plenty of USB ports, including a Type-C, a Display Port and HDMI port, allowing users of APUs, such as the 2200G and 2400G, to create a budget PC. The black and grey colour scheme should match any system you wish to drop this into, with the graffiti adding a bit of flair. The graffiti on the rear of the board seems a little pointless though it might inspire some case mods that can show it off. For your £120 GBP / $209 AUD, you receive RGB lighting, a high-spec power phase with adequate cooling, two M.2 NVMe slots, six SATA ports, three PCI-E x16 slots and three x1 slots, SupremeFX audio and ample fan and RGB connections. If you’re not too bothered about getting the absolute bleeding edge of performance that the X470 platform allows, this really is the whole shebang for around £60 GBP / $110 AUD less. Our only gripe lies with the lack of XMP and voltage controls in the BIOS, though the voltage control should be fixed soon.